This weekend! Nancy Doniger’s work and technique is interesting to learn about and her children’s book work is fun to see. Join Nancy, along with 21 other local artists for some surprisingly wonderful, affordable artwork to see and purchase. Sunday Sept. 25 @ 1 pm. Park Slope Windsor Terrace Artists, in conjunction with Art Slope, is pleased to present local artist Nancy Doniger, who will discuss her work as a children’s book illustrator and fine artist. 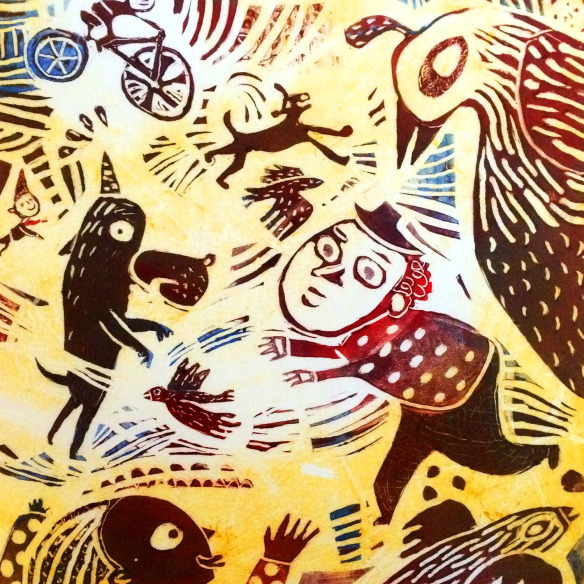 Doniger will talk about ways that her fine-art process is both different from and similar to illustration art, what she enjoys about doing both, and her current focus on ‘hand pulled’ printmaking. On display will be samples of Doniger’s art work, including her published books.